We are happy to announce the release of our brand new Spine Runtime for Unreal Engine 4! 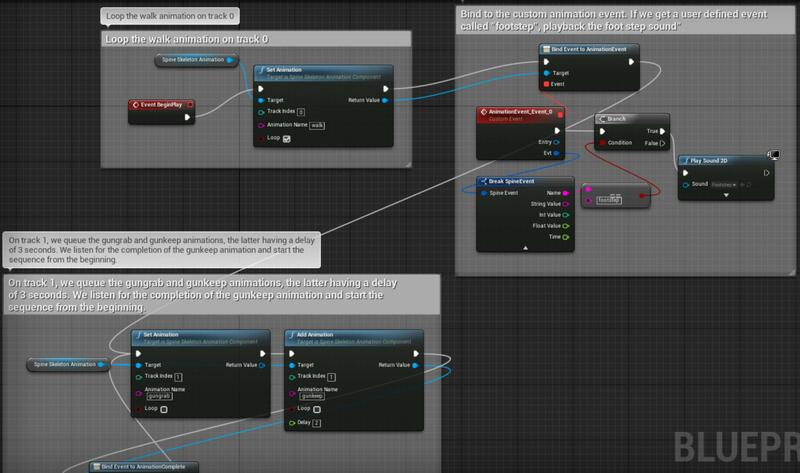 The spine-ue4 runtime is based on spine-c and exposes the entire API through both Blueprint nodes as well as C++ components you can easily add to your game objects. Check out the extensive spine-ue4 documentation to get started and try out the sample project. The spine-ue4 runtime is our newest member in the Spine Runtime family. While we did our best to make it as bug free as possible, there's always a chance you run into an issue with your specific project. Please report any bugs you find on our issue tracker. 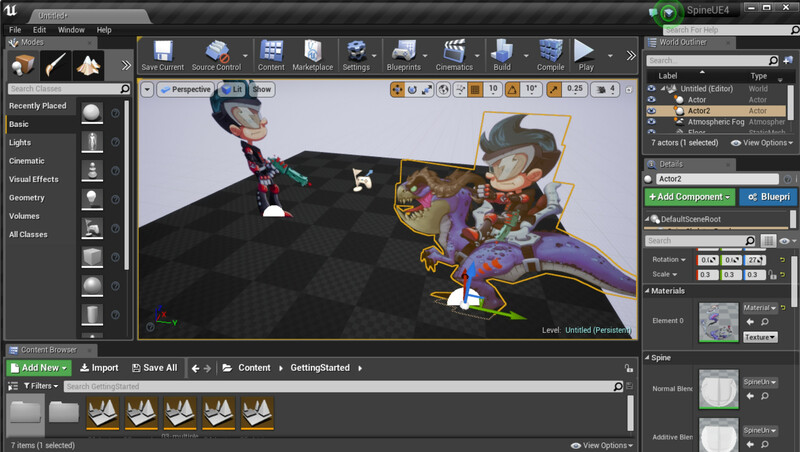 Note that spine-ue4 requires Unreal Engine 4.15+!